The Craig Police Department arrested a local resident Thursday morning on suspicion of committing certain crimes consistent with embezzlement. 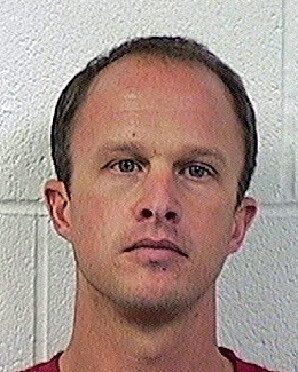 Craig Reuer, 36, of Craig, is in custody at the Moffat County Public Safety Center on suspicion of theft, a Class 3 felony; identity theft, a Class 4 felony; and forgery, a Class 5 felony, according to court documents. Investigator Travis Young, of the Craig Police Department, was one of several local officers that participated in the investigation that began in May. According to the affidavit Young submitted for an arrest warrant, Reuer is suspected to have embezzled more than $154,000 from his former employers at Tri-State Equipment Company, LLC, 3025 W. Victory Way. Though Reuer was employed at Tri-State Equipment for about 18 years, all of the alleged criminal activity transpired during the last two years, the affidavit states. During that time Reuer had access to Tri-State Equipment’s business accounts, but did not have authority to write or sign company checks, according to the affidavit. It is alleged Reuer forged one of the owner’s signature and/or stole pre-signed checks to use for his own financial gain and to pay off certain debts such as hospital bills, his wife’s tuition at CNCC and personal credit cards. At the time of Reuer’s arrest Thursday, the Craig Police Department had identified 30 checks the suspect allegedly used to defraud Tri-State Equipment. Reuer was fired from Tri-State Equipment in May shortly after the police department launched its investigation. Reuer then applied for unemployment benefits through the state, according to the affidavit. At press time Reuer was still incarcerated at Moffat County Jail. He is scheduled to be arraigned at 8:30 a.m. Tuesday in Moffat County Court.